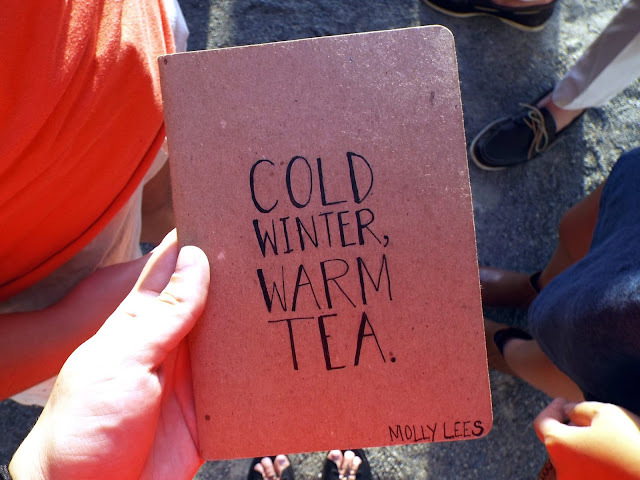 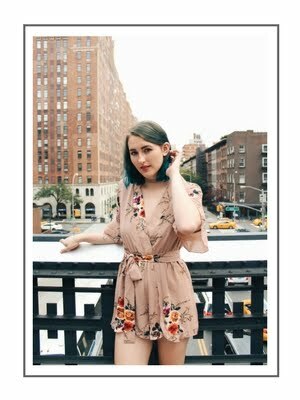 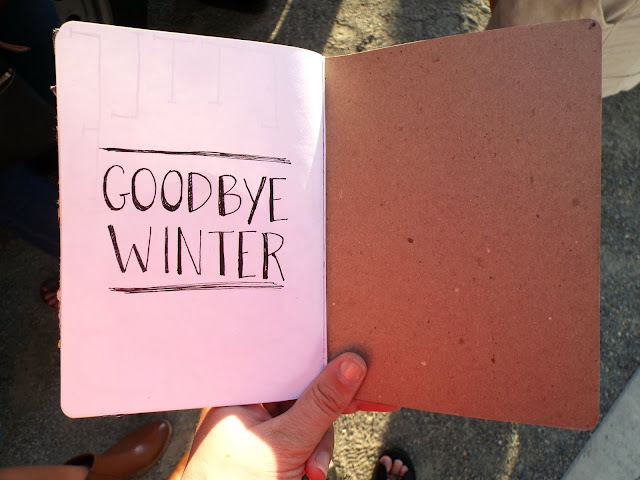 This winter, one of my roommates spent a quarter documenting the season in a little sketchbook. Emily is one of the most amazing artists I've ever met, and I felt truly lucky to be able to watch her process. 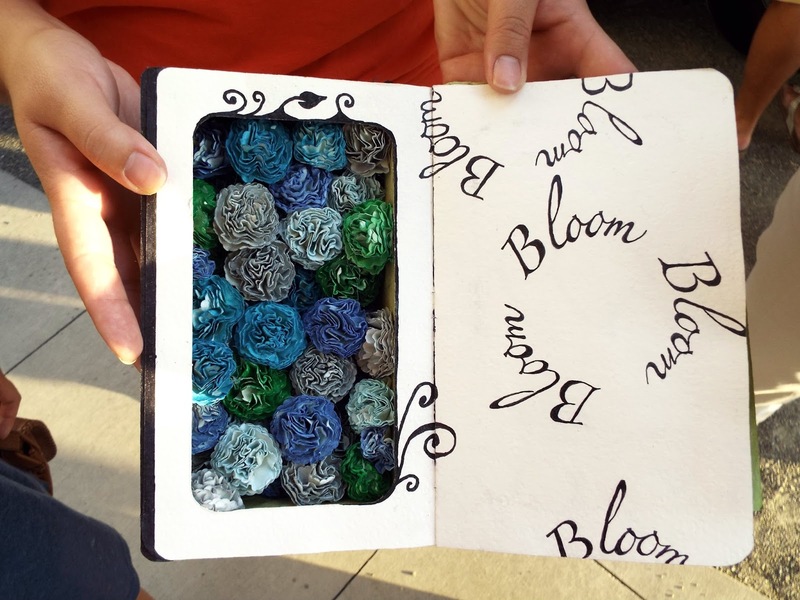 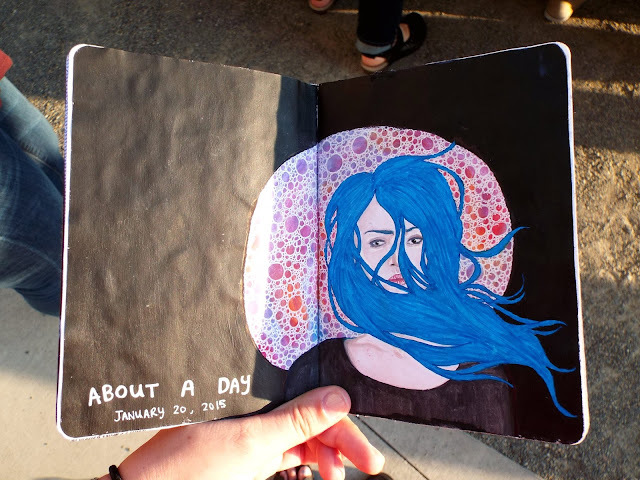 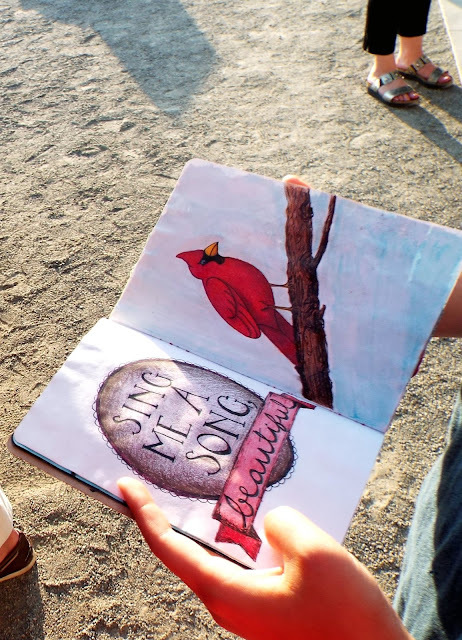 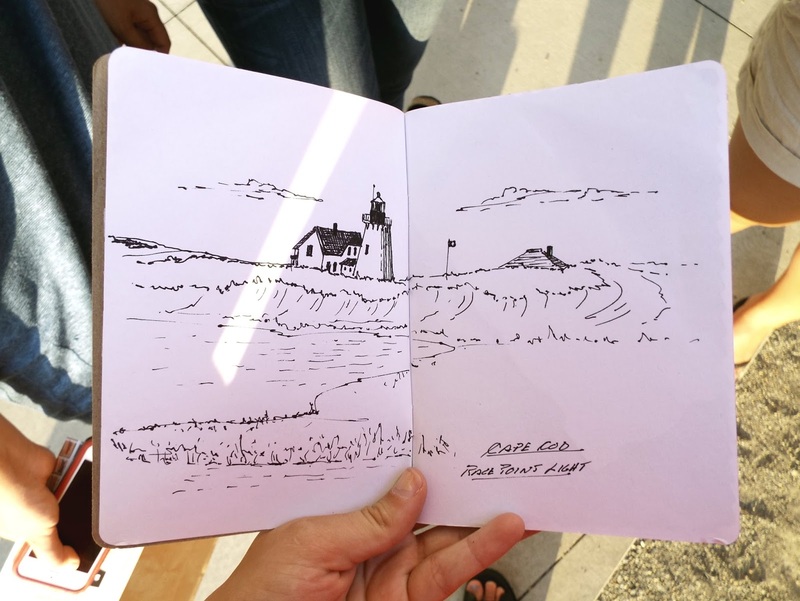 It was awesome watching her sketchbook fill up, and eventually she sent it in to The Sketchbook Project to be part of a digitalized anthology and tour the country in a mobile library. 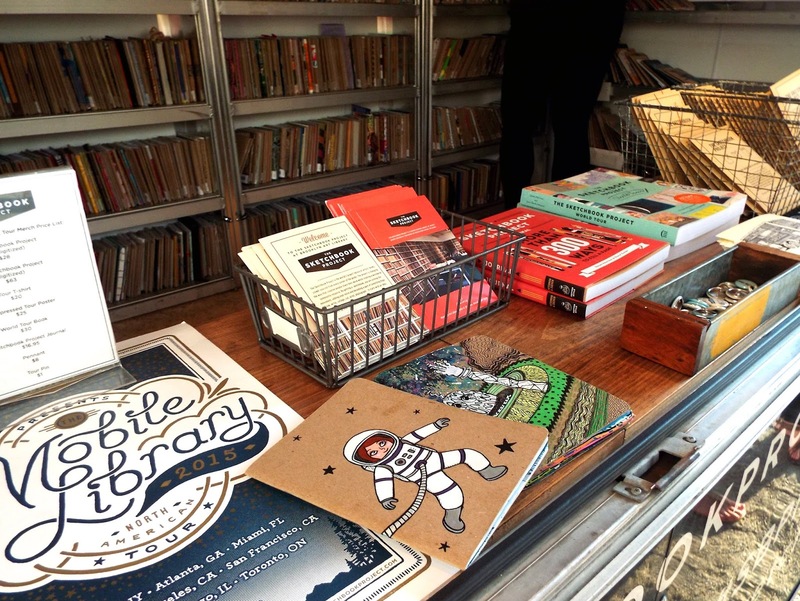 The mobile library came to Seattle last week and I got to go see Emily's finished sketchbook and a number of sketchbooks by other artists across the world. 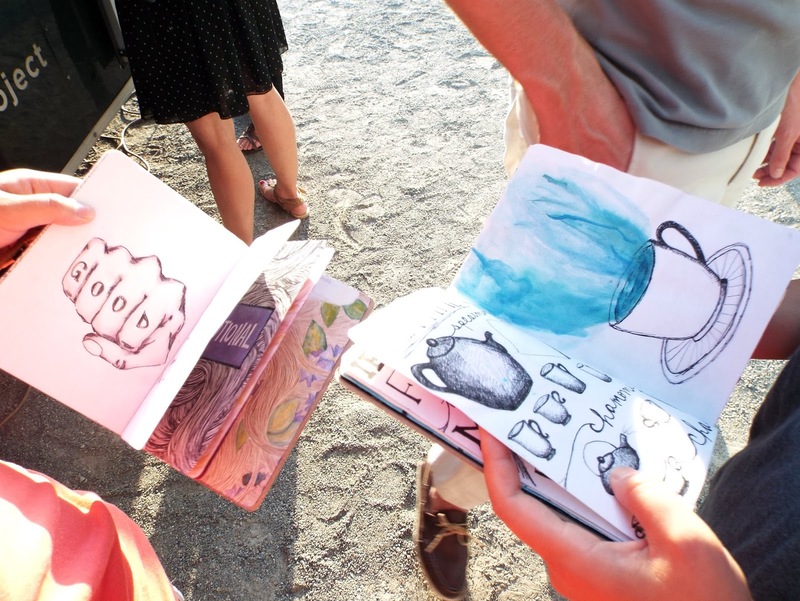 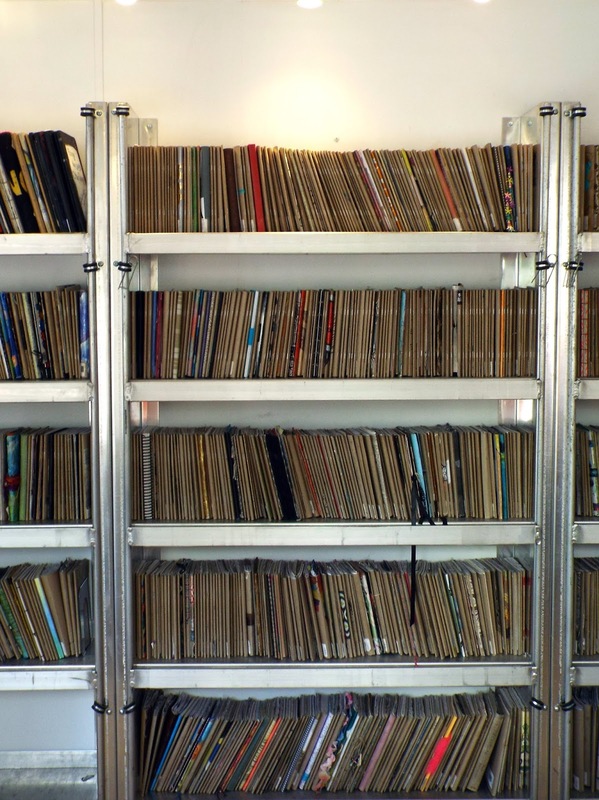 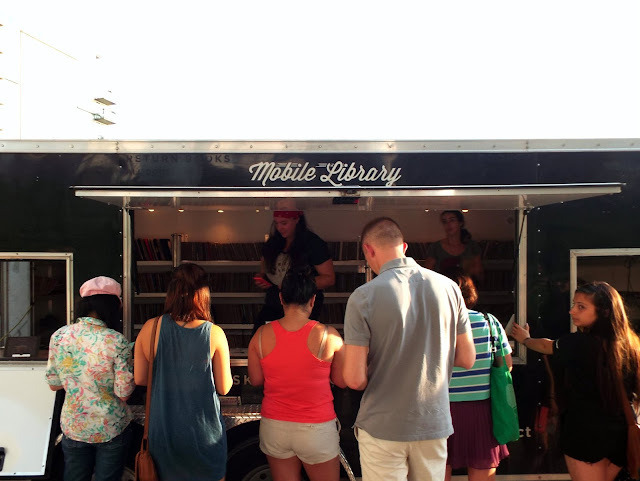 The mobile library that housed the Sketchbook Project was awesome – it was packed with hundreds of 38-page sketchbooks full of amazing art. 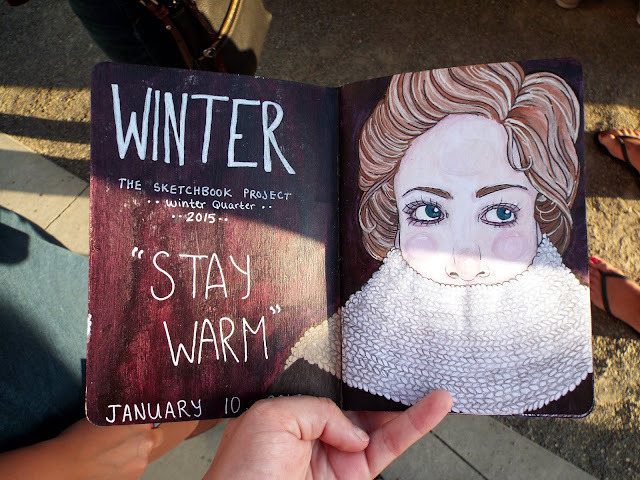 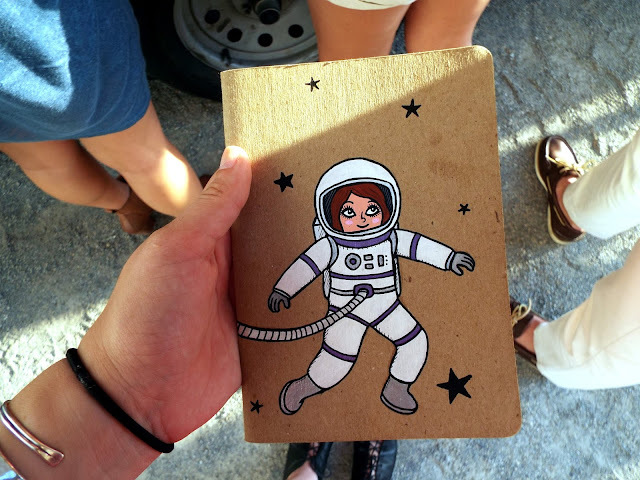 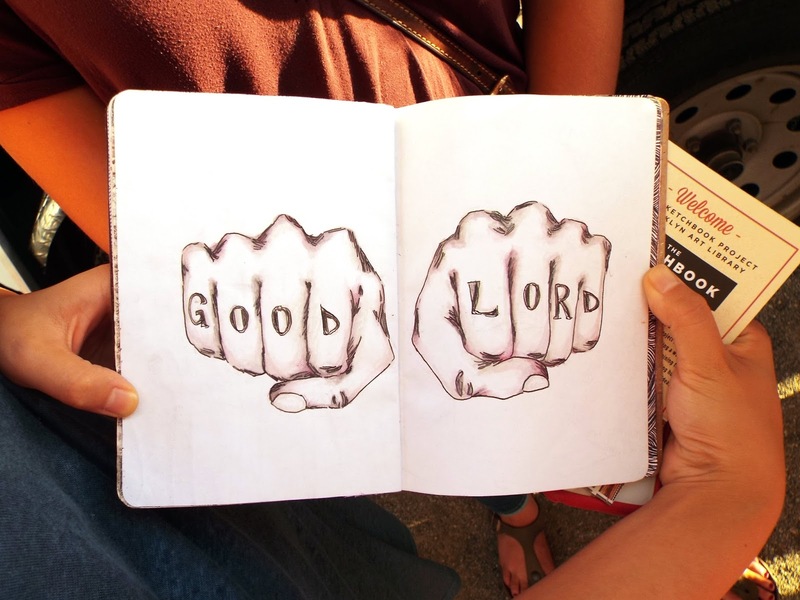 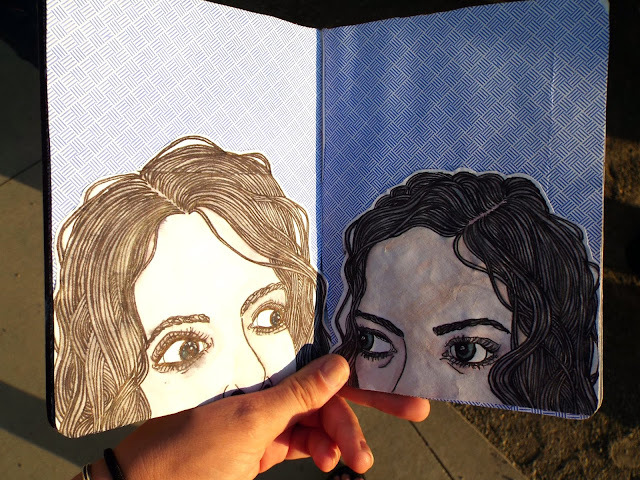 Check out this sketchbook online. It was so cool seeing Emily's work on the road after having seen her create it in our little dorm room all winter. I'm so glad I went to see the Sketchbook Project! 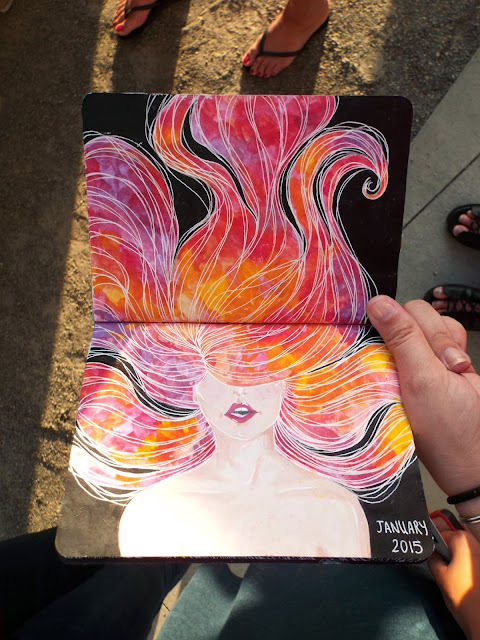 I don't often see art, but when I do, I'm always glad I do.